WARSAW — The Kosciusko Count Bicentennial Commitee has announced the entertainment lineup for the post-Torch Relay celebration. These events will take place Saturday, Oct. 1, at the Kosciusko County fairgrounds. 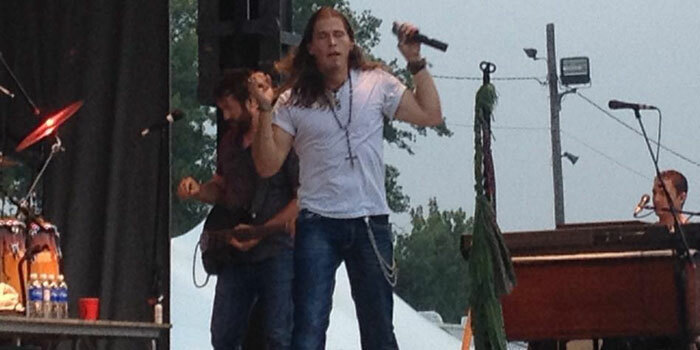 Headlining will be Jason Michael Carroll, who will perform at 8 p.m. on the main stage. He has opened for the likes of Brooks and Dunn, Trace Adkins and Alan Jackson. He also toured with Carrie Underwood and Martina McBride and appeared on Good Morning America. He has also performed during the CMA Music Festival and on the Grand Ole Opry stage. Carroll is also known for his debut album, “Waitin’ in the Country,” which reached number one on the country charts and had three top-40 songs, including, “Alyssa Lies,” “Livin’ Our Love Song” and “I Can Sleep When I’m Dead.” His second and third albums were “Growing Up is Getting Old” and “Numbers,” both of which made the Billboard Top 200. This schedule is subject to change. Musical artists are still being added to the lineup. A hot-air balloon glow will take place both before and after the evening concerts on the shores of Winona Lake. There is no admission fee for any of the Bicentennial activities or events. However, vendors and will will have items for purchase and local service clubs will accept donations.